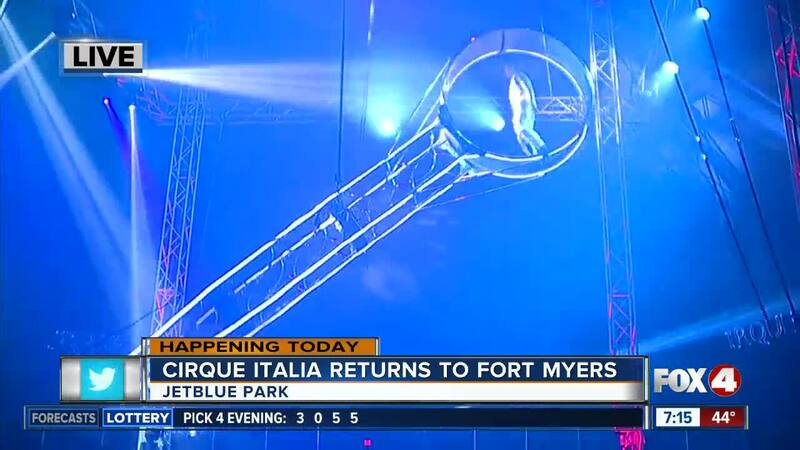 Cirque Italia, also known as the Water Circus, is back in Fort Myers for the weekend starting Thursday, January 17th. 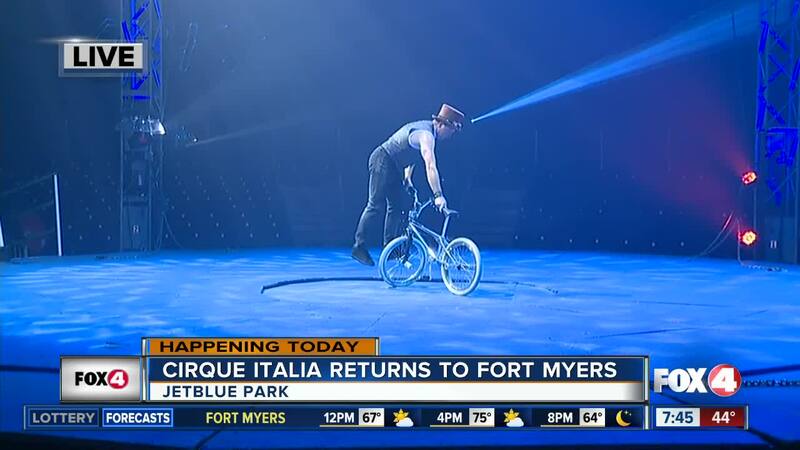 FORT MYERS, Fla. -- Cirque Italia , also known as the Water Circus, is back in Fort Myers for the weekend starting Thursday, January 17th. Cirque Italia is the country's first traveling water circus. The show kicks off on Thursday night at 7:30 and other show times include Friday at 7:30 p.m. and Saturday and Sunday at 1:30 p.m., 4:30 p.m. and 7:30 p.m.
You can purchase tickets online or by calling 941-704-8572.